This opening page is a summary of the tour itinerary, or click here for more detailed descriptions of each city, with videos. For more information about each place click on the city name. 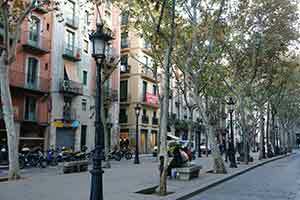 We start out with four nights in Barcelona, Spain, capital of the Catalan region. We will see the main attractions of this country’s second-largest city in four days by walking through its square-mile historic center and visiting the most famous building, Sagrada Familia, the fantasy church designed by eccentric architectural genius Gaudi. We planned this itinerary specifically to be in Barcelona during the La Merce Festival, which is a major cultural festival featuring dozens of music and dance performances throughout the center of town for the three days we are here. These events are all free and lots of fun. One of the most enjoyable activities in Barcelona is simply walking through the narrow lanes in the heart of the Old City, a giant pedestrian zone dating to ancient times. There are many beautiful buildings and historic neighborhoods to see in the downtown that we will experience in our walking tours. 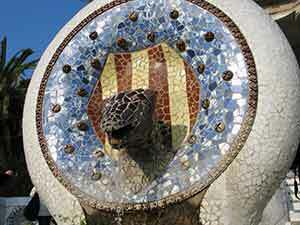 We will see several of Gaudi’s most wonderful architectural creations. Start at Park Guell, whose park pavilions are a colorful whirl of curved surfaces, looking something like big ice cream sundaes, inspired by “Hansel and Gretel” and other fairy tales. Click for more Barcelona. 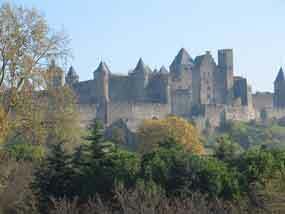 We continue to the amazing fortified town of Carcassonne with its medieval castle up on the hill completely preserved. We’ll take you inside the castle and on walks through the streets. You’ll find it very rewarding to stroll about on the lanes inside the village. The village is just one-quarter mile long, so it’s easy to walk around within the walled area and get a nice feeling for it. Two main lanes and several side lanes make up the entire plan, so you can easily wander, looking at the shops and going to the museum. The main town of Carcassonne is on flat land just below the hill with the castle, and this too is a fascinating place to explore. 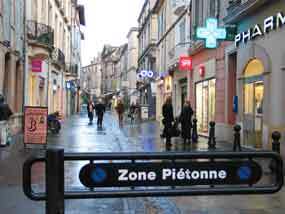 A pedestrian mall runs for a mile through the center lined with shops and cafes, with branching side streets containing many more stores and sights. It’s said to be the new city compared to the medieval castle, but it was built a long time ago in the 13th century for King Louis. It only takes about 15 minutes to stroll from the village down below up to the castle on the hill, so it is quite easy to get back. Click for more Carcassonne. We stay four nights in this largest town in Provence, and take day-trips to nearby towns of Arles, Aix, St-Remy and Les Baux. A wall runs around it, which means that the Old Town is beautifully preserved, and has large pedestrian zones. While the Old Town has many ancient buildings you will enjoy, it also has lots of modern shops in a comfortable pedestrian zone where you don’t get bothered by any automobile traffic or any trucks, buses or scooters. This city in the heart of beautiful Provence lays claim to dozens of historic monuments, especially the great Palace of the Popes, which grew into an imposing fortification during the 60-year papal residency and is now a museum. 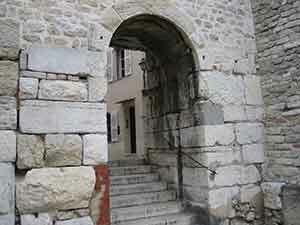 The palace is one of several Avignon monuments on the UNESCO World Heritage list. The pedestrian shopping district extends 10 square blocks south, providing a lot of fun streets for us to explore in our visit. 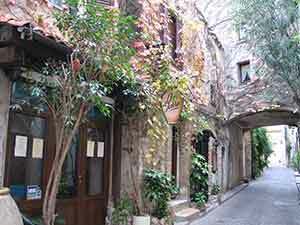 Avignon’s Old Town is a charming neighborhood of pedestrian shopping lanes, narrow residential streets and little back alleys. At a half-mile wide and long, this historic center can easily be seen on foot in one day. The curved streets will keep you guessing what’s around the bend or which museum or monument is coming up next. 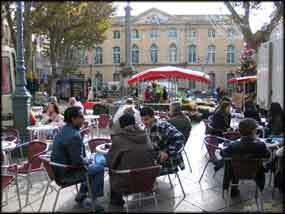 Streets are level, riddled with little plazas, fountains, trees, benches and numerous cafes. 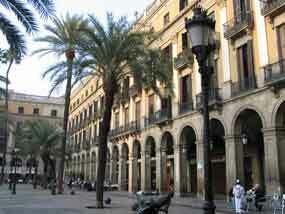 While the façades are historic, shops and galleries feature modern interiors and contemporary European items for sale. Click for more Avignon. Another beautiful town in the heart of Provence, Arles was founded by the ancient Romans and still has a 2,000 year-old amphitheater that can hold 20,000 people, still in use today. There are a lot of narrow streets in Arles’ small pedestrian zone, with various squares with cafes around them, and many historic sites that we’ll be showing you on the tour as we walk through Arles. 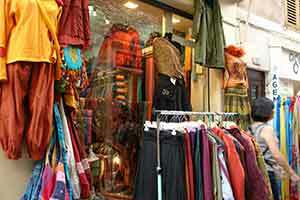 We will enjoy simply strolling up and down the main lanes to catch their different moods as the day progresses. With such a small historic center, one half-mile long and a quarter-mile wide, it’s easy to revisit various sites and thoroughly see the whole place on foot. Our walk along narrow pedestrian lanes brings us to the Place du Forum, probably the most popular plaza for eating and drinking. Named after the ancient Roman Forum, which was the center of social life in ancient Arles, and part of it has survived in this pretty plaza. Click for more Arles. 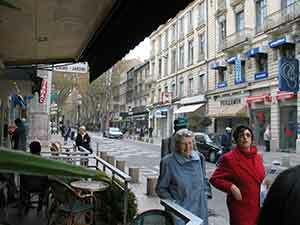 The pedestrian zone of Aix is an idyllic urban landscape of pretty, low-rise buildings three and four centuries old, criss-crossed by a maze of tranquil pedestrian lanes lined with shops and cafes. Little plazas with fountains and benches often accent the intersections of various paths. This is French living at its best. 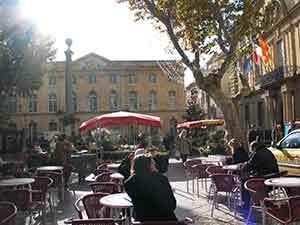 Aix’s Old Town is quite small, less than a half-mile across, with a number of outdoor squares for a meal for a meal or snack, such as Place des Cardoures or the Place de l’Hotel de Ville, the City Hall square, very classy outdoor spot, with the market and the cafes around it. 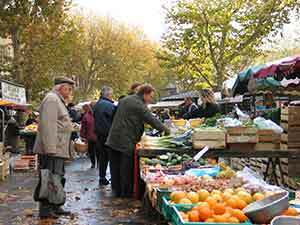 Easily reached in a 20-minute high-speed train trip from Aix, we shall walk through the downtown to the waterfront marina and into the Old Town for a good overview of this second-largest city in France, a place with much historic character. It only takes 10 minutes to walk from the train station into the heart of town where we can explore some of the pedestrian malls and small side streets lined with shops. Then after a few hours exploring the yacht harbor and historic Old Town we can ride the metro a few stops back to the train station to catch another fast train, back to Avignon for the evening. 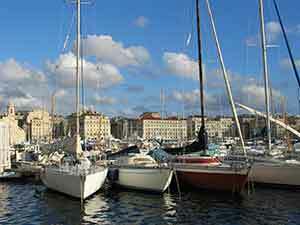 Click for more Aix and Marseilles. 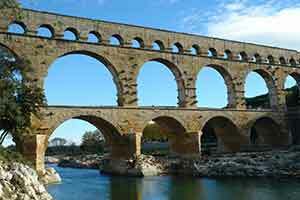 A private van with local guide will bring us on a full-day excursion to several nearby attractions including the villages of St-Remy and Les Baux, and the ancient Roman aqueduct of Pont du Gard. St-Remy’s Old Town used to be surrounded by a circular wall, and it’s less than a half-mile across so we can easily walk through in an hour. Many of its structures go back to the 14th and 15th centuries. 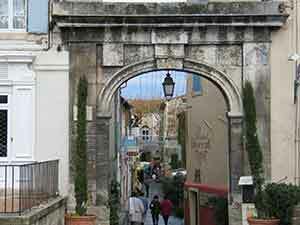 Famous as one of the last places Van Gogh lived, in the nearby hospital, St-Remy is also noted for impressive remains of the ancient Romans at Glanum, where we shall see the triumphal arch and monument. 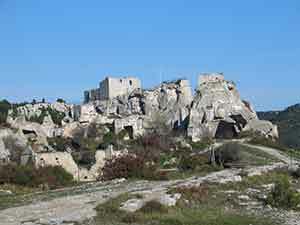 Les Baux is a stone village carved into the rocky limestone hilltop that provided a sheltered, fortified perch that protected this village for millenia. In recent centuries it lost importantce and was largely abandonded, preserving the original structures for us to enjoy today. The lanes and old stone structures have been beautifully restored, providing that medieval feeling as we stroll along. 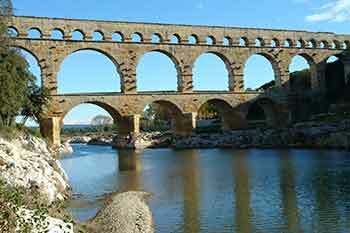 Pont Du Gard is an impressive Roman aqueduct, the tallest ancient bridge and the second-highest structure the Romans ever built. The Romans built this bridge about 2,000 years ago to maintain an even flow of water, with just a slight change in level, dropping only about an inch every 300 feet, part of an ancient 26-mile water channel built mostly on or under the ground.This engineering feat is a UNESCO World Heritage Site. We shall enjoy the various vistas for a complete appreciation, walking on the paved path from the visitor center for standard views, and then up a well-marked hillside path to gain access to the aqueduct's upper level. Then we walk along the stream on the sunny side of the structure a few hundred yards to get the best view looking back. On calm days you'll get a mirror reflection of the bridge in the river's smooth surface. Click for more about the excursions. Queen of the Riviera. Next, we continue the Mediterranean Odyssey with a trip to Nice, where we stay for three nights, visiting nearby towns of Cannes, Antibes, Monaco and St. Paul. The promenade of Nice along the beach is world-famous, with the palm-lined sidewalk, the Opera House, and a long, wide beach. There is a lovely pedestrian path for strolling along the shore for several miles. And then there’s the Old Town of Nice where we’re going to focus much of our time, as usual. It has got art galleries, little shops, nice small restaurants, and of course, bars and cafes; just a perfect spot for strolling. The character of Old Nice is very quiet, with a lovely tangle of pedestrian lanes - very peaceful, especially in the off-season. 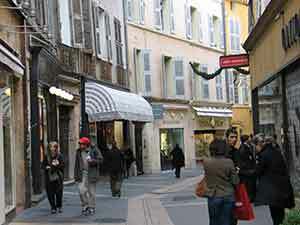 Downtown Nice has seen major improvements in recent years, with the main street converted to a pedestrian mall with wide sidewalks and a new tram running down the middle. This has rejuvenated the shopping zone, now buzzing with cafes, trendy boutiques, shopping centers and attractive side lanes. Day-trips from our home base in Nice will visit Antibes, Cannes, Vence, St-Paul and Monaco, easily reached by short bus or train rides. Click for more Nice. 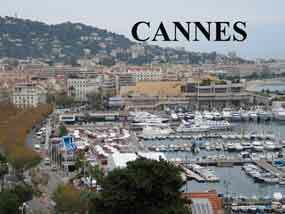 Cannes is one of the most famous towns along the Riviera, best-known for its Film Festival in May. 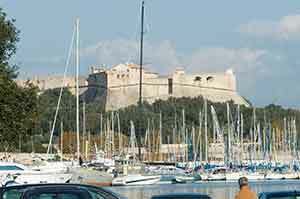 We will stroll through its pedestrian zone and past the beaches and marina. 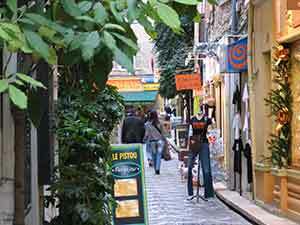 Special highlights will be a visit to the Old Town and a stroll along the main shopping street of Rue d’Antibes. 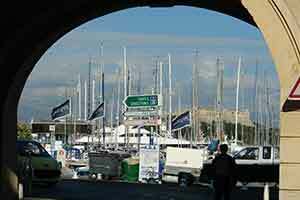 ANTIBES was once a fortified coastal village and has an ancient fort overlooking the harbor. Walk a few blocks from the train station to the marina and continue through a gate in the city wall leading into the Old Town. We stroll a few blocks farther to explore a peaceful pedestrian neighborhood with the typical array of shops, cafes and plazas. It’s an easy walk back to the train station where we catch a ride back to Nice for the evening. Click for more Cannes. Monaco is the world’s richest country with the highest per-capita income of anyplace in the world, and it’s the second-smallest nation, after the Vatican, just .8 square mile, about the size of Central Park. 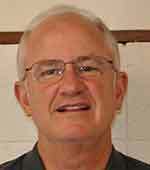 There are only 30,000 residents here and they don’t pay any income taxes at all. There is the famous Monte Carlo casino itself and just next door is the Hotel du Paris, one of the world’s most grand 5-star deluxe hotels - very exclusive. Monaco has done a magnificent job with all its money, building wonderful structures and creating an extremely well-planned community. 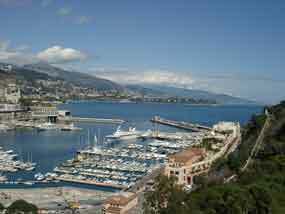 Monaco’s exclusive marina is filled with opulent yachts and circled by fancy shops and cafes. 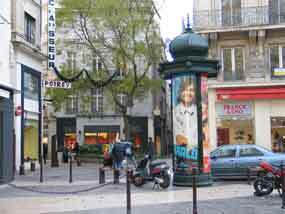 La Condamine is the adjacent shopping zone with several pedestrian lanes including Rue Princesse Caroline. If we have time we can also visit the small waterfront village of Villefranche on the way. Click for more Monaco. ST PAUL is a very special town, a medieval village of stone structures that date back mostly to the 15th and 16th centuries. Easily reached by direct bus from Nice in one hour, we will also visit Vence this same morning. St Paul de Vence is quite small, just 400 meters long and about 100 meters wide, and yet, within this small space you're going to find that practically every square inch is worth looking at carefully. After a noble history, St Paul had fallen apart by the early 20th century and became quite dilapidated. It has been fixed up like new, yet retains the original character of a 500-year-old stone village. There are 50 art galleries in St. Paul of the highest quality. You will see why it is one of the most popular villages in France, and yet uncrowded in September. VENCE is a small village, roughly circular in shape, just 300 meters across, so we can easily see it in a few hours on foot. 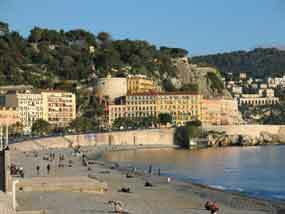 It is just 5 minutes by bus from St Paul, very convenient to include in our day-trip from Nice. The Old Town is a pedestrian zone with several main lanes and connecting corss-lanes, so it is delightful to walk through, away from automobile traffic. Nice and peaceful, with numerous shops and cafes to keep thinkgs interesting, and the smallest cathedral in France, built in the Romanesque and Gothic styles. Click for more Vence and St Paul. From the French Riviera we continue by train along the beautiful coastline to the Italian Riviera, where we visit Portofino and the little villages of the Cinque Terre. Our home base will be the pretty coastal town of Santa Margherita Ligure, which has a strategic location in the midst of this region. We shall travel by train to visit the quaint towns of Cinque Terre along the coastline, including the villages of Monterosso, Vernazza, Manarola and Riomaggiore. For those who enjoy walking there are some perfect paths along the scenic shores with views in all directions, or you can just sit at a café and relax. 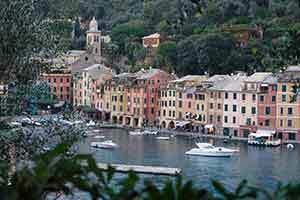 Portofino will surely be a highlight of this visit, famous for its sheltered yacht harbor lined with pastel-colored buildings wrapping around the cove. We will walk up the hillside path for the classic view. Here in late September, the little village is not crowded, unlike summertime when it is packed to bursting. We have it all to ourselves for full enjoyment. Travel at this time of year is perfect for the Mediterranean because the weather is mild and the mass of tourists are gone. This is especially beneficial in a small village like Portofino, where we can truly appreciate its fine beauty without distractions of crowds. 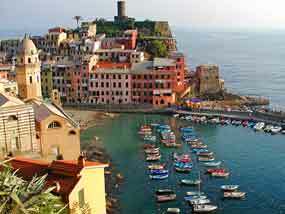 Click for more Cinque Terre. 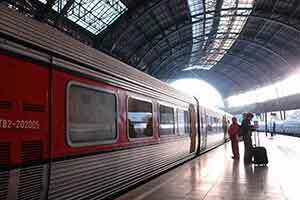 Finally, we travel by train a few hours further south to the capital of Italy, the great city of Rome, where we stay for three days taking in the sights. One of our favorite cities because of its amazing history, preserved sites, casual life-style and wonderful foods, we know this town well and will show you the city in-depth. Our first walking tour will bring you into the Piazza Navona, considered one of the most beautiful and lively outdoor spaces in the city. From here we walk to the best-preserved ancient building in Rome — the Pantheon, a perfect structure still standing after one thousand nine hundred years with the largest dome in the world until this century. 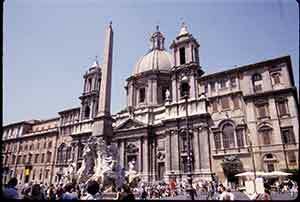 It is situated on the Piazza della Rotunda which offers several outstanding cafes and restaurants and a beautiful fountain with Egyptian obelisk. A few blocks away is the spectacular Trevi Fountain, made famous by the movies and perhaps the world’s most beautiful fountain. We walk a few more blocks to the Spanish Steps and its lively piazza, to settle in for dinner in one of the fine restaurants in this neighborhood. Tonight you will probably sleep well and readjust your biological clock to European time. Next day our morning walk will take you to some of the most important highlights of Rome, including the Colosseum, the Forum, and many other important landmarks. In the afternoon we visit the Vatican Museum, with the breathtaking ceiling of the Sistine Chapel, painted by the greatest of all renaissance masters, Michelangelo; and St. Peters, the most spectacular church in the world. On the last morning we will take another walking tour, beginning at the Palazzo Farnese, one of the most famous renaissance palaces of the city, currently housing the French Embassy. 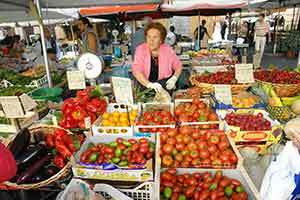 Nearby is the Campo dei Fiore, a colorful fruit and vegetable market that has been in business for 300 years. 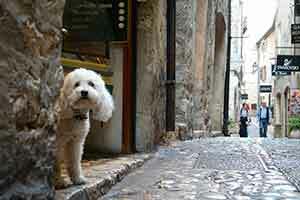 We walk the charming narrow streets near Via Giulia and experience the heart of historic Rome. Walking the cobblestone ancient lanes in this quiet neighborhood will be one of the most interesting experiences of our entire European tour. Click for more Rome. 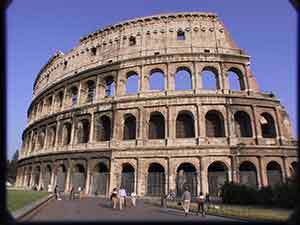 Or see our multimedia guidebook about Rome. In the late afternoon we fly to Frankfurt and spend the night at the Airport Sheraton, ready to take off the next morning for our flight home. 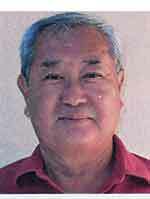 Click to read more about these places. I have been to Rome three times previously, but I enjoyed the city much more this time because of you. Thanks for giving us that extra time in Rome which gave us time to go to the Borghese, Diocletian Roman Baths, etc. Amazed at the Pont du Gard. It was a great trip. 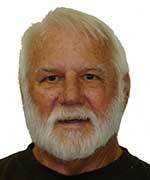 The small group consisting of well-traveled, friendly and cooperative travelers made this trip very enjoyable. 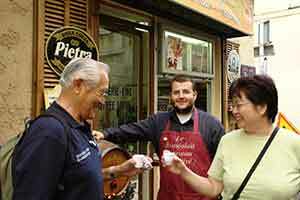 The walking tours with you and the professional guides were informative and interesting. 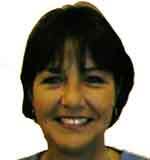 I had no knowledge of the places we visited except for Monaco, St. Paul and Rome. How exciting it was for me to see and experience these towns, cities, villages and the people who live there. Cinque Terre is my favorite. The villages on the hill, fishing villages and the terrace fields were awesome. Although climbing the steps along the steep coastline was tiring, the scenery was gorgeous and I'm glad not to have missed it. It was breathtaking looking down into the Mediterranean from the top of the cliff. I liked Gaudi's architectural designs in Barcelona and how the buildings were laid out at street intersections. 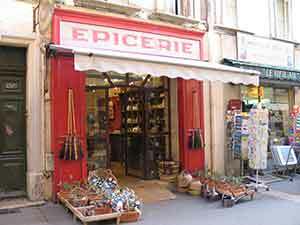 Aix-En-Provenace was a good place for shopping. The medieval village of Carcassonne was also a fun place to explore. Walking on the walls surrounding the Castle, the cobbled streets, many interesting shops and restaurants and sleeping in the hotel which had been an orphanage were wonderful experiences. The Maeght Foundation was a treat. I enjoyed walking back from the Forum to the Hotel in Rome with June. It was relaxing and fun to window shop along Corso Emanuelle II. Joining June for lunch was also delightful. I gained enough confidence to shop near the Hotel.